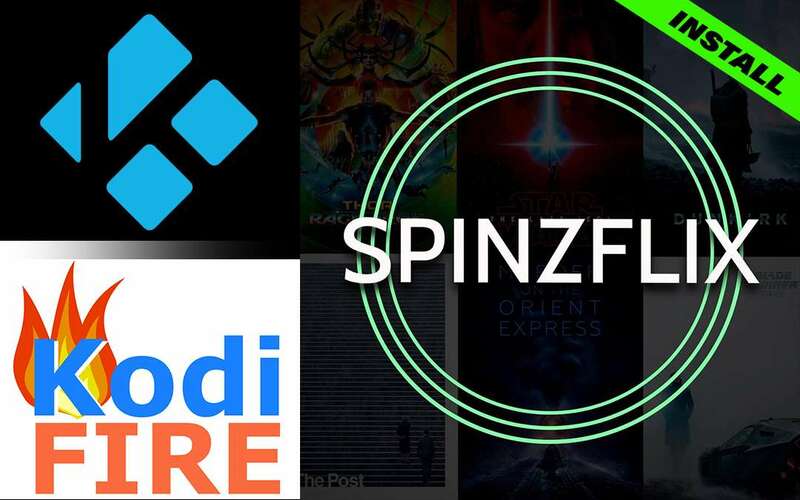 Fire TV Stick Kodi installations get a real pick-me-up when you add SpinzFlix. Found within the SpinzTV Repository, the SpinzFlix Fire TV Stick Kodi TV addon plays streams with one click. At time of writing, SpinzFlix has the most comlete Christmas Carol story trove I have ever seen. Whether you want to watch the Blackadder, Flintstones, or even Dr. Who version, SpinzFlix has it! Fire TV Stick Kodi TV addons don’t get much more into the Christmas spirit than that! Fill your season with holiday cheer and down another eggnog while watching all of your favorite Christmas classics with SpinzFix! If you enjoy your Fire TV Stick Kodi installation often, then don’t fall behind when streams go down. Check with the KFire TV front page, so you can keep up with all the latest TV addons, news, and builds. With all the craziness surrounding Kodi lately, please guard yourself. Only connect to streams through Kodi TV addons while using a protective VPN. No matter where you browse the web from (Ashburn, VA? ), somebody watches and records all your activities. Your identity and data remain private only through a securely encrypted VPN. Without “Unknown Sources” set to “allowed,” then Fire TV Stick Kodi installations remain free of third-party TV addons. If not sure what I mean by this, or if you’re in need of a refresher, then simply read the Allow Unknown Sources in Kodi tutorial guide. You’ll gain the ability to add third-party Kodi TV addons, builds, wizards, and repositories in no time at all. We’ll see you in a moment! Install the Spinz TV repository source URL into your Firestick Kodi app requires just a moment following these simple steps. Get to Kodi’s home screen, then click the System gear cog icon. Click Add Source, so you can enter a new source location. Input the Spinz TV repository source URL, so http://repo.stvmc.net/. Name it Spinz TV, check for any typos, then select and click on OK.
“Directory information couldn’t be retrieved.” Don’t add the source at this time if you get that message. Simply try again later to see if it came back online. 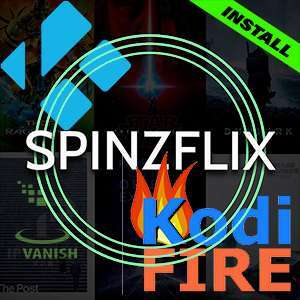 Although SpinzFlix rules, there are many other Firestick Kodi TV addons to try also, so enjoy your Kodi without worries. To get the Spinz TV repository installed onto your Fire TV Stick Kodi setup, then follow these simple steps. The Spinz TV repo houses SpinFlix and its dependencies and keeps them up to date, so you don’t miss a beat. Head to Kodi’s main menu on the home screen, then click on Add-ons. Then, you need to click the Add-ons Browser icon that resembles an open box. Drop down to Install from zip file in the list, then click on it. Then, select the Spinz TV item that we set up to install from. Choose repository.SpinzTV-0.1.4.zip file, then click either it or on the OK button to the right. The version numbers may have changed, so you might need to access repository.SpinzTV-1.3.1.zip or similar. Once you notice the Spinz TV Add-on installed, then the Spinz TV Repo… well… installed. The actual SpinFlix installation takes no time at all. Just click, click, BOOM! Let’s get this thing installed, so you can enjoy the show. If you find yourself now within the Add-ons browser, then click on Install from repository. If not, then jump back and follow steps 1 and 2 in the Install Spinz TV Repository section and return to do so. Choose the SpinzTV repository, then click on it. Then, select SpinzFlix for installation. Simply click on the Install button now, so the installation starts. A dialog should popup to tell you SpinzFlix Add-on installed. What more could you ask for than working streams and easy navigation? We’ll see you next time on KFire TV. Until then, please stream safely and as always, enjoy! For working Firestick Kodi streams and an easy navigation system, try the SpinzFlix Kodi TV addon. Learn how to install it in this tutorial guide. Enjoy!